Situated 800 metres from Royal Albert Hall in London, this apartment features free WiFi. The unit is 1.6 km from Hyde Park. The kitchen is equipped with a dishwasher, an oven and a microwave and there is a private bathroom. 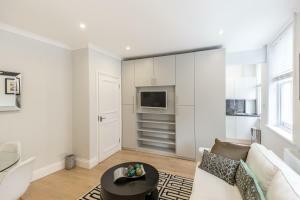 See all High Street Kensington Apartment reviews..